Local nature reserves can be a great place to go for a relaxed stroll – especially as many have well-graded paths, making them more accessible to people. The subject of this blog is one such nature reserve – Collier’s Wood, very close to Eastwood in Broxtowe borough. Collier’s Wood sits on the site of the former Moorgreen Colliery. The contrast between the old pit landscape and the regenerated field landscape could hardly be greater. 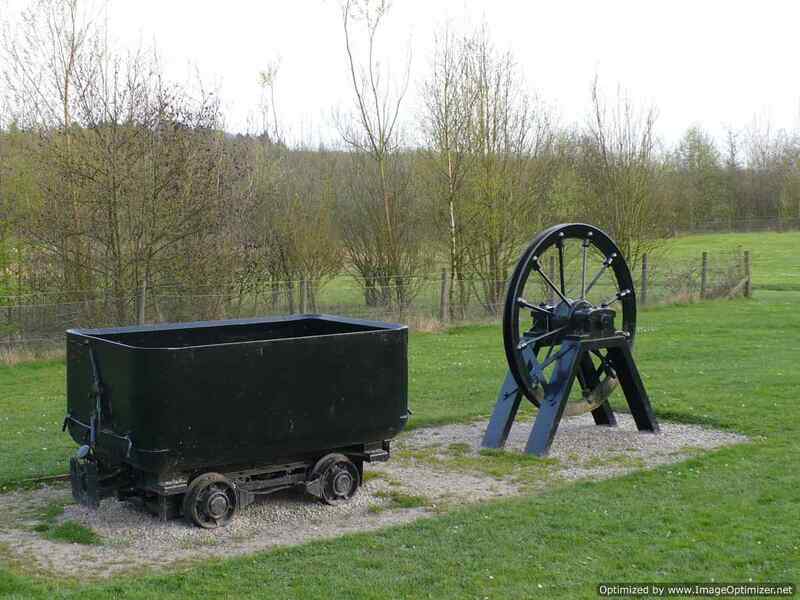 The great steel winding wheels are used to mark the site’s entrance, and a lonely coal-waggon sits in the park. But without these the untrained eye would struggle to recognise the echos of the colliery in the area. Even local people now miss the scars across the field marking out where the old pit railways once ran. The colliery operated 1865, closing over a century later in 1985 when the seams were run dry. DH Lawrence often used the pit as inspiration (positive or negative, depending on his mood) in his works. In Women in Love for example Lawrence described the modernisation of collieries in the early 1900s and the unrest it caused. Though Moorgreen was never named, it was obvious to anyone who knew the area which colliery the book described. Lawrence often used people and places from his own life by simply changing their names, a trait which earned his the ire of people and whole towns! Gerald Crich, the ‘industrial magnate’ of Women in Love was a very thinly-veiled portrait for example of Thomas Barber, of Barber, Walker & Co – the company who operated many local pits, including Moorgreen. The Barbers reacted angrily to Lawrence’s use of them in his books – especially the use of family tragedys. Although the pit closed in 1985, it wasn’t until the 1990s that a positive new vision for the area started to become a reality. The area was completly relandscaped between 1996-97, with the new nature reserve opening in 1998. There are various small copses and wood in the reserve now, although after only ten years they are still finding their way towards maturity. A wide variety of trees have been planted, with the aim of replicating more natural woodland from the local area. These include Sessile Oak, Birch and Alder. Other species such as Hazel, Rowan, Willow and Scots Pine, have been planted too, with the intention of encouraging Hawthorn, Geulder Rose, Dog Rose and Holly to thrive. The wide variety of plants along with the large pond (apparently just large enough for a swan to use as a runway!) also encourage a variety of birds and other animals to live in the reserve. There are two short walks that stick within Collier’s Wood and the old Moorgreen Colliery site. There are two very large kissing gates, and this along with the excellent paths makes the park and these walks open to people with pushchairs or wheelchairs. These walks are quite short however – but luckily Collier’s Wood makes a great base for several longer walks. We have drawn up a route which takes you across the fields to the parish of Greasley (see the downloadable route or the map below). You could also try the woods around Moorgreen Reservoir, or the views from the fields around Coneygrey Farm. Moorgreen Colliery on Healy Hero – good site giving details of the history of many pits, local and further afield. The picture of Moorgreen Colliery above is from this site. 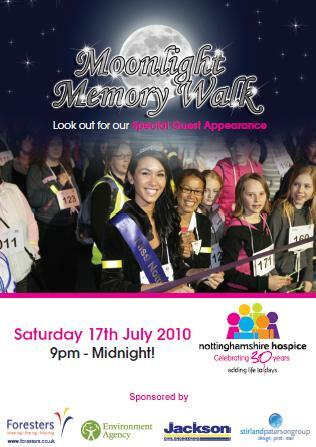 Nottinghamshire Hospice first organised a Memory Walk in 2009 – and is running one again this July, starting from Nottingham Forest Football Club’s ground. Nottinghamshire Hospice exists to help people suffering with life limiting illnesses, and also gives help and support to carers and families. A large amount of the hospices funding comes from donations – which makes this walk a great way to support the centre. The entry fee is £12.50 (or £7.50 for children), which goes towards supporting the hospice’s work. This year the Memory Walk will start earlier in the evening (9pm), and will have a Moonlight theme. All participants are encouraged to get the glitter out and glam themselves up a bit! The initiative has been called a Memory Walk as it encourages people to remember those close to them who have suffered from illness and disability. The organisers are keen to hear your stories about who you are remembering, and why their experiences have encouraged you to take part. 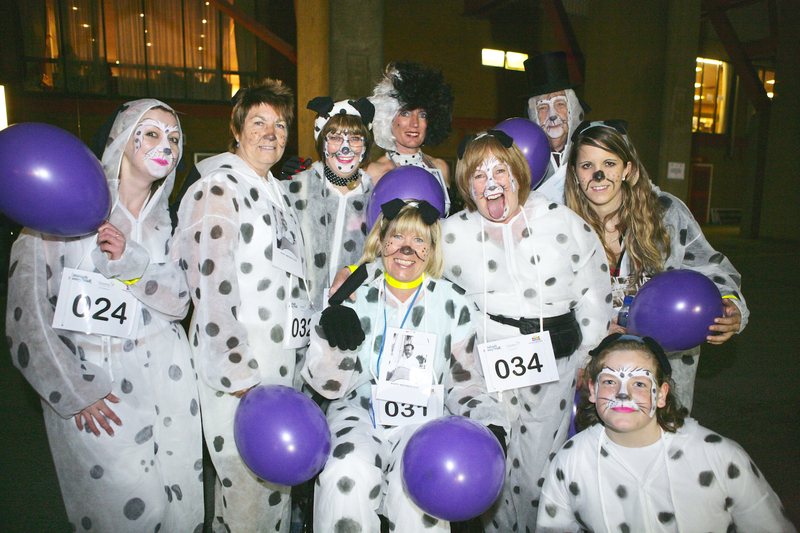 You don’t need to be remembering anyone in particular however – all entries will benefit the hospice. Memory Walks are becoming a popular tag for a new type of charity fundraising event. The first organisation to promote them was the Alzhiemer’s Society, who use the memory theme as a way of encouraging awareness of dementia. We’ll try and include all the Alzhiemer’s Society’s walks on the blog too (keep an eye on the Alzhiemer’s Society Memory Walk website too). If you are promoting a charity walk please let us know, and we’ll include you on this blog. Its perhaps fitting that this first Notts&DerbyWalks Blog post straddles the border between Nottinghamshire & Derbyshire, with The Erewash Valley now forming a pretty patch of countryside, sandwiched in between the urban areas of Ilkeston, Eastwood and Langley Mill. Over the last few centuries however the area has been constantly changing, and was until recently a key industrial zone. Railways and canals crisscrossed between the many pits in the area which came and went over the years. The Bennerley Viaduct is the most impressive visual reminder of the area’s past, but look closer and the clues are still there to show just how much the landscape has changed. In our times for example its easy to forget the industrial roots of the canal system in the UK. We’ve grown used to seeing the canal as a relaxing and gentle element of the countryside. A place suited to nothing more than a gentle stroll on a warm afternoon, a spot of pleasure boating, or just lazing about with a pint! That canals developed as a quicker method for transporting industrial goods – especially coal – has almost been forgotten. It seems canals were put there as recreational waterways – but not all canals made it through to the modern age. This first blog crosses between two canals with two different stories – also passing the meandering River Erewash. The Erewash Canal is thrives today, navigable from the Erewash Junction at Langley Mill right down to Trent Lock, connecting to the wider canal network. The canal is used by a variety of pleasure craft, and maintained by an eager preservation society. The Nottingham Canal however is a fine example a waterway left to be reclaimed by the landscape. In some stretches its almost impossible to spot the old course. Where it does survive it exists as a series of elongated ponds, and ghostly snakes of wetland vegetation, attracting a large variety of wildlife. Our route starts out at the The Nottingham Canal, which here is in effect just a long, narrow pond, in some areas completely taken over by vegetation. The changing structure of the canal provides habitats for a variety of animals, especially birds. Its not unusual to see a fishing heron swooping into the canal. The views over to the left show the extent of the valley, over to Shipley Common in the distance. At the first road, turn left and you’ll soon find yourself at the Erewash Canal. The canal is still navigable, and is used by pleasure craft, running from the Trent to Langley Mill, where it once connected to the Nottingham and Cromford Canals, which are both now disused (in this area at least) and in disrepair. The first lock you come to is Eastwood Lock. In what now looks like untouched countryside just to the left of the route was once Eastwood Colliery. Though the naked eye would be pushed to see the colliery itself, squeezed in between the Erewash and Nottingham Canals, you can pick out the tell-tale signs. Two embankments still exist, marking the line of the old railway branches connecting Eastwood Colliery to the Erewash Valley and Great Northern Railways – there is a footpath along the top of the embankment on your right, leading up towards Shipley, where another colliery once stood. Just after Eastwood Lock there are the stonework stumps, which are all that remains of the bridge which once crossed the canal here to connect to the colliery. Eastwood Colliery closed in 1884. 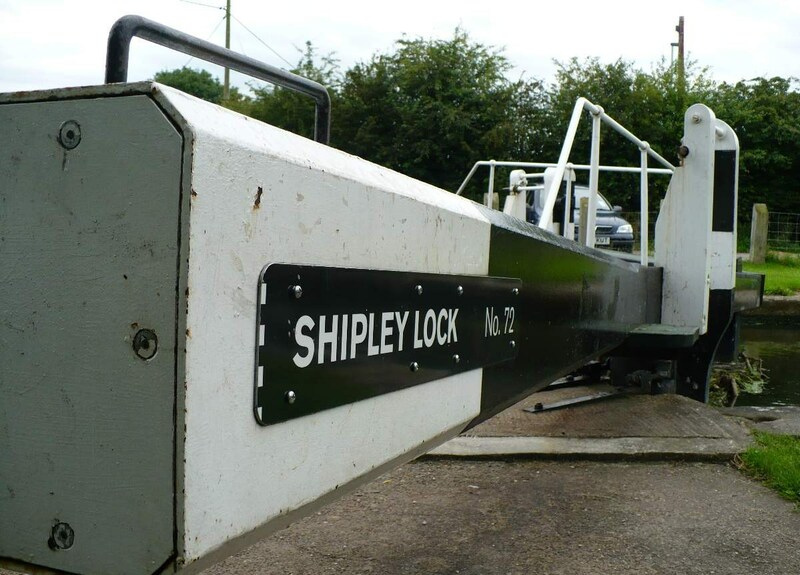 The lock itself was also used for loading coal to barges for transportation. 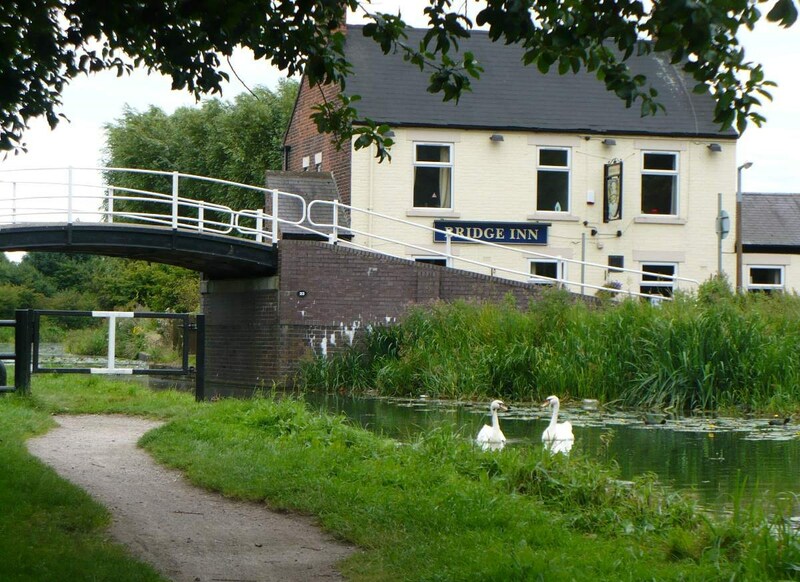 What follows is a pleasant stroll along the canal for a mile or so, until you reach the Bridge Inn pub. There the route heads of to the left, away from the Erewash Canal, heading past the railway, bringing you to the River Erewash again. You should be able to glimpse views over to Bennerley Viaduct on your right. The path there joins bridleways which lead back towards the Nottingham Canal – although you’ll be hard pushed to find any of the previous course of the river along this stretch. The occasional long mound of earth betrays the line of the old canal, but it is so well filled in as to be almost completely unrecognizable. 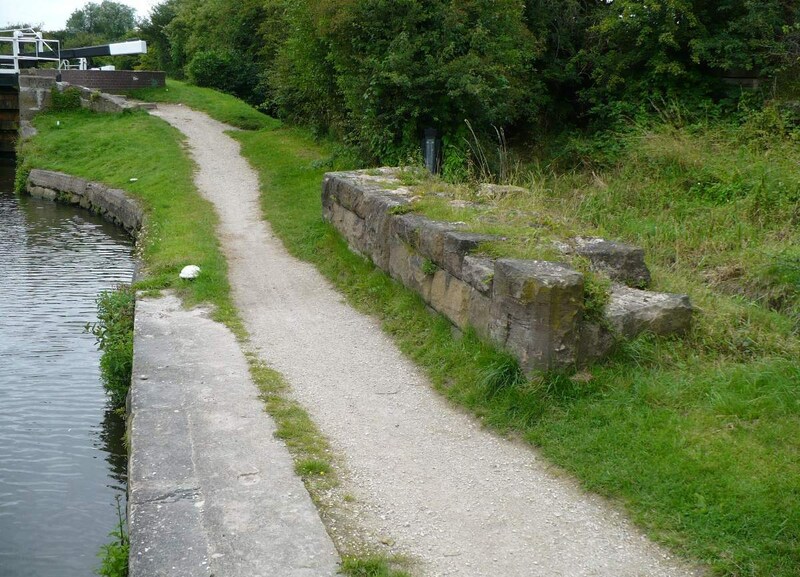 The bridleways bring the route back to Newmanleys Road, when there is still time for a quick walk along a stretch of the canal which still exists – bringing you right back to the start point. There are a wide range of alternative to this walk. On the interactive map we have indicated some alternative car parking spots you could use as start points, and if you have a copy of OS Explorer 260 you’ll easily pick out ways to lengthen or shorten our route. You could also work this walk into a longer walk around Eastwood and the DH Lawrence heritage in the town. The Nottingham Canal featured in Lawrence’s novel The Rainbow, where Tom Brangwen drowned.